Owing to our expertise, we are manufacturing, trading and supplying superior quality Fire Fighting Foam . We offer these products in various packing options and can also be customized as per clients’ need. These are processed using premium quality basic material and latest technology in accordance with the global standards. FOAMER BRAND FOAM LIQUID CONCENTRATE FOR CLASS A FIRES, is a wetting agent and low & medium expansion foam to water which reduces surface tension of water enormously and working as a penetrating agent. It reduces the use of water quantity due to quicker extinction. This extinguisher forms a thick layer of foam over the burning surface, effectively cutting of atmospheric supply of oxygen to the burning surface thereby smothering the fire and preventing re-ignition. Foam extinguishes fire by giving blanketing effect. Burning solids, such as paper, wood, fibres, plastics & Oil, Kerosene, Petrol etc. This Foam is made using high quality fire retardant chemicals and is widely used for industrial applications. nowadays this foam is also used for making mattresses and other household furnishing products. 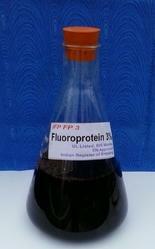 AVREON AR-AFFF is a foam concentrate containing polysaccharide, which forms a pseudo plastic film on the surface of the polar solvents. With the help of our diligent employees, our well- organised firm has been able to wholesale trade a premium quality range of Fire Extinguisher Foam at negotiable prices. Vintex Fire Protection Pvt. Ltd.
Fischer foams available in both Standard as well as Fire Retardant. 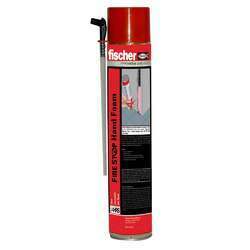 We are authorized distributors of all fischer products.